One of the campaign messages from PHE. Most colleagues in primary care will be aware of Public Health England’s current cervical screening campaign, which started on 5 March. The campaign highlights the NHS Cervical Screening Programme which has made a significant impact on cervical cancer mortality since it was established in 1988, saving an estimated 5,000 lives a year. However the uptake in the screening programme has declined in the last decade with current coverage is at a 20-year low and the programme is not meeting its 80% coverage standard. It is because of these concerns that the campaign was started. More information is in this letter I wrote with Cally Palmer, National Cancer Director at NHS England. All GP practices in England should have received a resource pack in late February. Further resources can be downloaded from the PHE Campaign Resource Centre. The campaign will hopefully encourage more women to participate in the screening programme and so reduce their cancer risk; with a consequent increase in women contacting our surgeries for smears. I know that capacity is an issue but am very grateful for all you are doing to accommodate as many women as possible. Please do not point women to the PHE Screening helpdesk with queries about results. PHE does not have access to patient records so all the helpdesk can do is direct the women back to their GP, which inevitably causes frustration on all sides and doesn’t assist with access to screening tests. You should be able to find a woman’s cervical screening history on your local practice IT system, or else on the Open Exeter System run by Primary Care Support England (PCSE). You should contact PCSE with any queries. As ever, I would stress that screening is a choice and that while I hope the campaign will encourage women to be screened, those who make an informed decision to opt out should never be put under pressure to change their mind. And for women under 25 showing any symptoms of cervical cancer, screening is not appropriate but the guidance on clinical assessment should be followed. You can read Dr Jim McMorran's series of screening blogs for primary care, including a good summary on cervical screening. We also have information for GPs and practice staff on GOV.UK and collaborated with the RCGP on a cervical screening e-resource. This blog was updated after publication to include additional links in the final paragraph. PHE Screening blogs provide up to date news from all NHS screening programmes. You can register to receive updates direct to your inbox, so there’s no need to keep checking for new blogs. If you have any questions about this blog article, or about population screening in England, please contact the PHE screening helpdesk. Have you responded to the screening review call for evidence? What happens to men who have a cervix? They are no longer part of the national recall system and GPs are not contracted to keep a separate register. Does this put NHSE/PHE/PCSE foul of anti discrimination laws? We have done a lot of work with the LGBT Foundation and other organisations to make screening more accessible for trans people. For instance, we published a leaflet with <a href="https://bit.ly/2tMgXFo">screening information for trans people</a>. And we’ve just published a blog to highlight how <a href="https://bit.ly/2Z1p11v">local NHS services can better support trans people</a>. In terms of screening invitations, if trans men aged 25 to 64 are registered with their GP as male, they won’t automatically be invited for cervical screening. Trans people can ask to change their gender on the NHS systems, but it’s really important they have a conversation with their GP to ensure cervical screening continues to be offered by the practice. I too was shocked to be refused a cervical smear test today ‘because I am 70’. I am appalled that older women are being denied screening in what is obviously a cost cutting/ money saving policy . I have previously had 2 lots of abnormal test results with precancerous cells found and colposcopies with both, one in the early 80s, and one 18 years ago , and I was told that I should always come back for a test if I was concerned. I had tests every year for ages after these episodes. I believe that older women are not being offered cervical smears as routine because of their age, with no further investigation of their medical history. I had to insist firmly on an appt with a practice nurse when I phoned my Gp. i could have been fobbed off by the receptionist on the phone who clearly said you’re over 70 you can’t have one. I know it is not in the job description of a receptionist to pre-select women for smear test appts . Where is the evidence base for this age discrimination? I’d like to know where To find the stats. Is an arbitrary line drawn - strangely at 65, retirement age- to save money ? Or is it because policy makers believe that even if we do get cervical cancer at my age, we will probably die of old age before the cancer kills us? And lastly , I was told I could always get my smear done privately ! Having worked full time and paid tax and contributions for over 45 years, I consider myself as having already paid for the treatment I get in my old age . Cervical cancer usually develops very slowly, therefore it is highly unlikely that women over 64 who have been regularly screened will go on to develop the disease. In older women, the effects of the menopause can cause the test to be more uncomfortable and make it more difficult to get an adequate cervical screening result. I hope this information will provide you with some reassurance. Why am I not permitted to have a cervical screen just because I’m now 68 yrs, I’ve always had them imagine how shocked I was when denied. How do I find out when HPV testing will be available in my area? When I tried to discover this last month, our local GUM receptionist was completely unaware of any such testing or where I could find information. 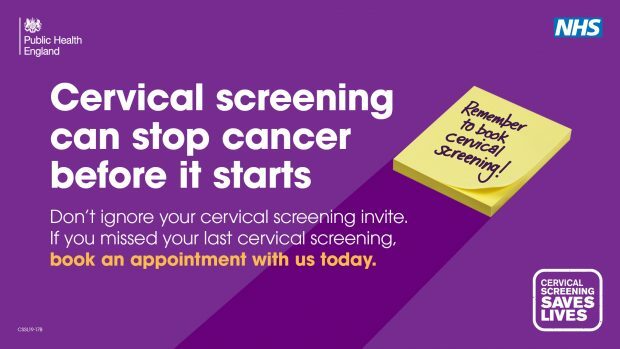 For the list of providers of cervical screening in your area, I would suggest contacting your local NHS Clinical Commissioning Group (CCG), as they should hold this information.